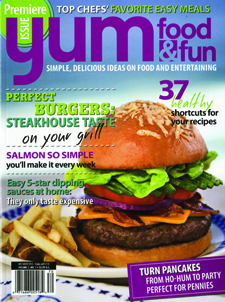 First Half of 2011 Ushers More New Consumer Magazines Than 2010: 438 New Titles With 104 Regularly Published Magazines Launched. Yes indeed! More new consumer magazines were launched in the first half of 2011 than that of the first half of 2010. 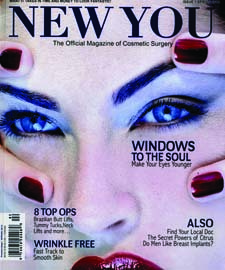 A total 438 new consumer magazines were introduced to the market place for the first time in the fist six months of 2011. The magazines were divided into 104 magazines published with an intended frequency of four times or more and an additional 334 magazines published with either an annual frequency or as a special interest publication or a book-a-zine. In comparison, the first half of 2010 witnessed the birth of 381 new consumer magazines that were divided into 99 magazines with a frequency of four times or more per year and 282 annuals, one-time and book-a-zines. The second quarter of 2011 witnessed the birth of approximately 80 titles each month. April ushered 84 titles, May 80 and June another 86 for a total of 250 titles. From those titles 65 of them were published with the intended frequency of four times or more. Both numbers are higher than those of 2010 when 211 titles were published from which 56 were published four times or more a year. The first quarter of 2011 witnessed the birth of 188 titles from which 39 titles were published four times or more a year. In 2010 the numbers for the first quarter were 170 new titles from which 43 of them were published with a four times or more a year frequency. Below are pictures of a sample of ten new magazines, from the new magazines of the last three months, that illustrates the vitality, variety and value of the new magazine industry, the industry that I call the life-blood of our business. Enjoy, get inspired, walk to the newsstand and pick up a copy today… It is still the best investment you can make when it comes to the great three Es of magazines: entertaining, educating and informing. Yeah, I know, information starts with an i, but what about the three Rs of education: reading, writing and arithmetics. Well, at least I got two of three Es correct. Relax and have fun. 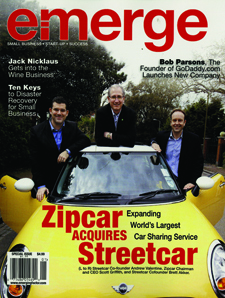 The power of magazines can be seen on every newsstand you visit and every mailbox you open. 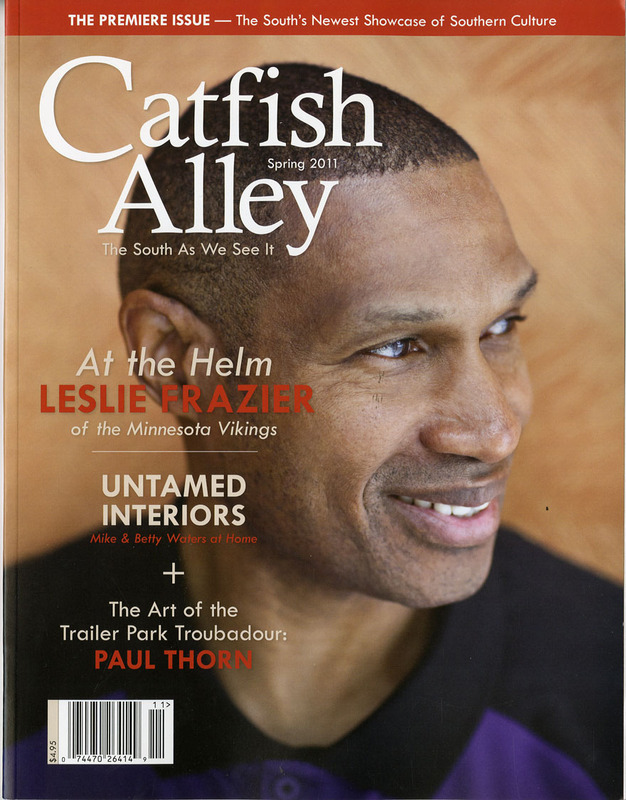 Two magazines out of 798 new magazine launches share more than one thing in common between the two of them: Dash and Athlon Sports. 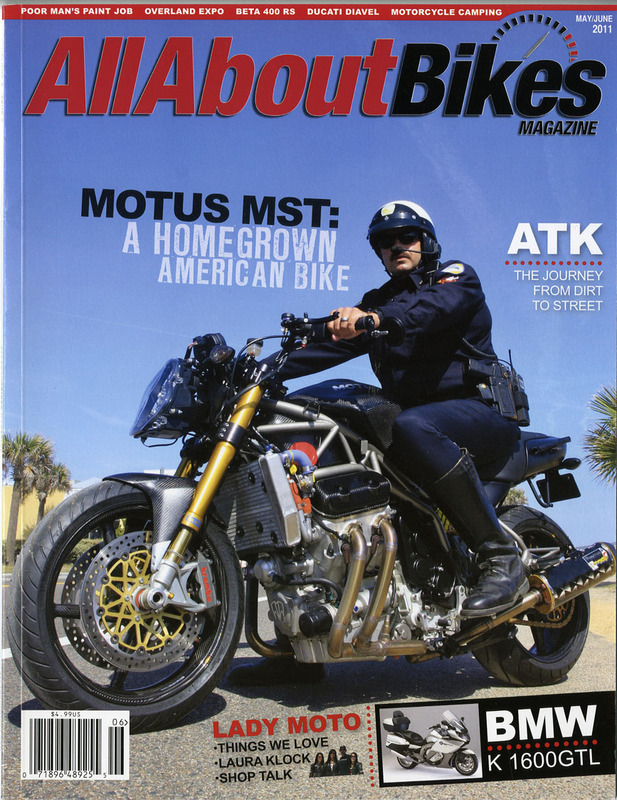 Both titles are distributed via newspapers and they are both named Mr. Magazine™ Most Notable Magazine Launch of 2011 in the latest edition of the Samir Husni’s Guide to New Magazines, Volume 26. The Guide, which has just been released, lists all 798 new titles that arrived at the nation’s newsstands or customers’ mailboxes and coffee tables for the first time in 2010. 1. How much publicity did the magazine generate at launch? 2. How relevant was the magazine to intended market? 3. Was the magazine notably diversified and specialized? 4. How innovative was the magazine? 5. Was the magazine so bizarre that it had to be included? 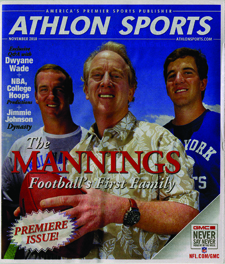 Athlon Sports–	(The Co-Most Notable Launch of the Year) From the leading publisher of Athlon annuals, here comes he first-ever monthly newspaper-distributed-magazine aimed at men with an initial circulation of seven million. 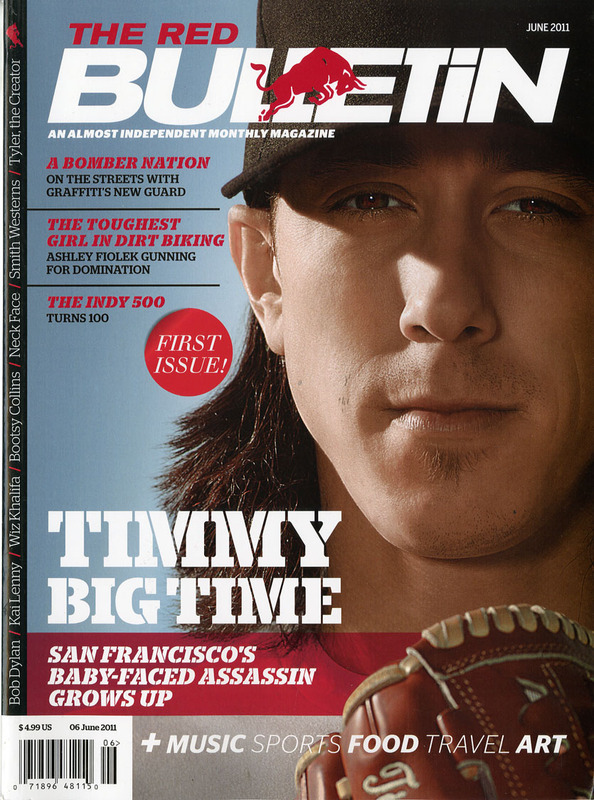 Athlon Sports debuts as the largest sports magazine in the United States and the world for that purpose. This unheard-of and unprecedented launch is truly something to be noted and proud of. It’s a testament to the power of print and its incredible reach to a vast audience. Well written and illustrated this new launch, while big in print, does not limit itself to the ink on paper, but adds a hefty web presence. Athlon Sports deserves to share the most notable launch honor with Dash, yet another daring launch in that same newspaper-distributed-magazine category. Dash– (The Co-Most Notable Launch of the Year) Sharing the top honors with Athlon Sports, Dash magazine is another manifestation of the power of ink on paper and the success of newspaper-distributed-magazines. 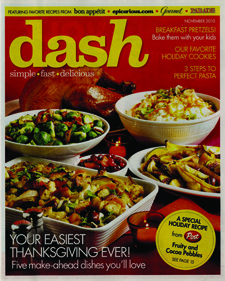 With a launch circulation of more than 8 million copies, the monthly Dash presents itself at the front of the pack of cooking magazines. This magazine has found enormous success as an insert magazine for newspapers, finding an entirely new female audience in those who don’t subscribe to cooking magazines. From the mother of all newspaper-distributed-magazine Parade, Dash deserves the top spot in the world of new magazine launches of 2010. Blue Canvas– is another manifestation of the coffee table approach of print that combines art and literature into one unified publication. It’s one of the best packages a publisher can offer, and provides its audience with well-constructed editorial and beautifully produced imagery. Bluecanvas brings its page to live through all kind of activities and events that bring the magazine to life and humanize the ink on paper. Talk about smart, elegant and beautiful all in one! Bound By Ink – If there’s one phrase to describe 2010, it is the “year of ink,” and not necessarily just ink on paper, but ink on skin. Bound By Ink takes tattoo magazines to an entirely new level, providing a must-see collection of stunning tattoos rendered by today’s most skilled artists, showcased by the beautiful bodies who proudly display them. Looks more like a journal with a feel of the top glossies, this magazine sets a new standard for the tattoo magazines currently on the marketplace. 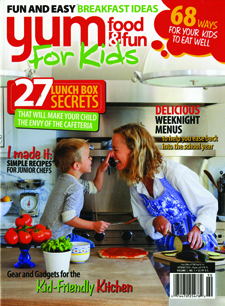 Chop Chop – The food magazine for families whose kids want to be in the kitchen, Chop Chop shares recipes, activities and ideas that require a child’s touch. Focusing on one of the largest trends in new magazines for the last three years, Chop Chop adds the children to the picture and focus on their involvement in every aspect of food, cooking and nutrition. The magazine brings a entirely new meaning for the term, “having a kid in the kitchen.” Now the children can do more than the easting in the kitchen thanks to Chop Chop. Emerge – This magazine is like taking a page from the Harvard Business Review and adding a unique, emotional personal touch to its pages. Emerge tries to humanize the world of business interactions to help its readers understand business transactions. With a mean focus on the people behind the business, Emerge carves a niche for itself in the world of business magazines that makes useful, helpful and full of “stories” about business interactions one after the other. 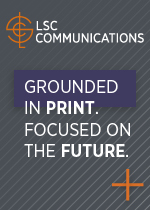 Humanizing print, one story at a time. 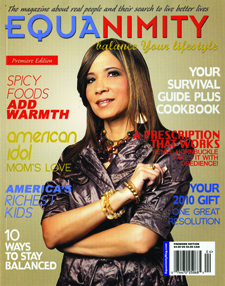 Equanimity – “Diversity meets specialization.” This is a new breed of magazines we are going to see much more of in the future. A single magazine can be a better reflection of our society offering a multitude of diverse topics covered in one, single publication, instead of multiple magazines covering multiple targets. A good attempt in achieving a new breed of magazines and a lot of credit for being the leader of the pack. Sill, editorially speaking, the magazine needs more meat to provide its readers of a full meal of Equanimity. @Gamer – When a major magazine publisher meets a major electronic retailer, the product has the potential to be nothing short of pure success. That’s entirely what @Gamer has proven itself to be. 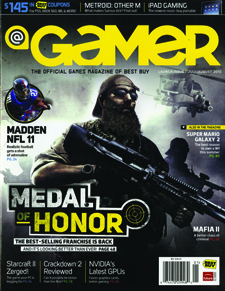 A great magazine with a very specific audience, @Gamer is the result of UK based Future publishers and Best Buy, who has the exclusivity of selling the magazine solely in its stores. A must have for the gamer and a must inclusion in the most notable launches of 2010. Guy Harvey – This magazine is an extension of the world-famous Guy Harvey brand that takes the dictionary definition of the word “magazine” (meaning a storehouse) and moves it from the brick and mortar to the ink on paper of the enterprise. 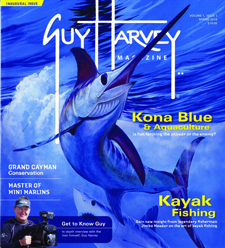 This lifestyle magazine brings the world of Guy Harvey into a single publication, offering editorial content and beautiful photography, while allowing readers to purchase a diverse selection of products. 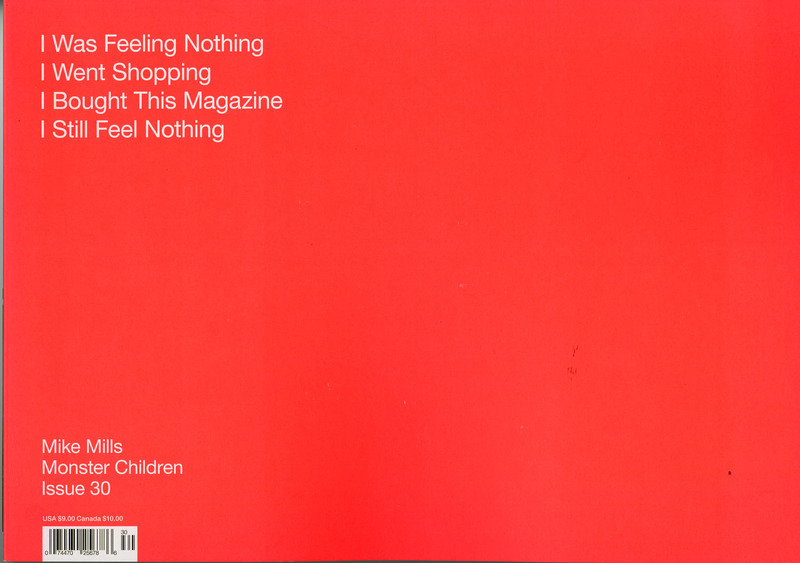 Well designed and written the magazine is good for both window shopping and actual shopping. Guy Harvey is waiting for you to interact with the store. Welcome inside. 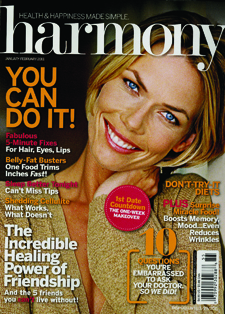 Harmony – Another foray into women’s lifestyle and fitness magazines, Harmony captures both the body and the soul of its audience. Anyone courageous enough to start a magazine in a market already bombarded with countless publications aimed at women deserves to be noted, and what makes Harmony even more deserving of notoriety is its success in producing a valuable, well-crafted publication. 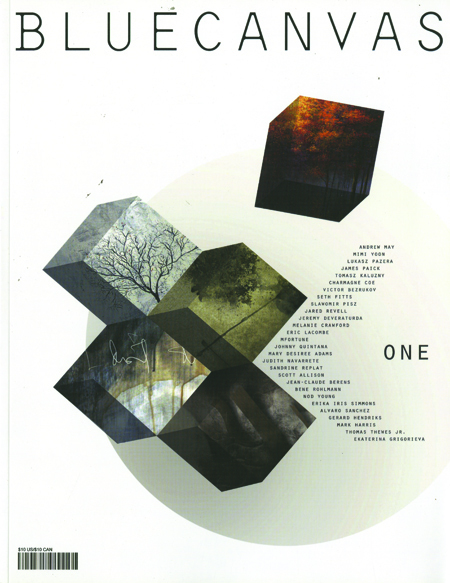 Harmony magazine provides content that is as harmonious as the name of the magazine itself. A title deserving the honor of being a notable launch of 2010. High Times Medical Marijuana – From the publishers of leading marijuana-focused (no pun intended) magazine, High Times, comes the medical version of the mother ship. Medical Marijuana capitalizes on the current status of debate and laws related to the medicinal usage of marijuana in many states of the union. 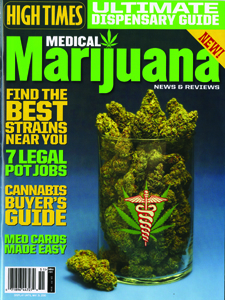 The magazine, a first of its kind, deals with Mary Jane from a medical point of view, dispensing advice, ideas and pages for debate among readers, users and maybe dispensers. 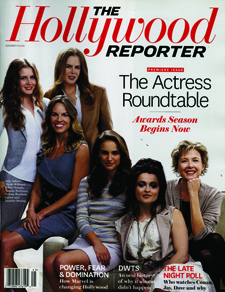 Hollywood Reporter – If you’re looking for a formula on converting a trade daily publication into a consumer weekly, look no further than the Hollywood Reporter. Mixing the business side with the consumer side, this magazine presents Hollywood and its stars on a silver platter for those interested in both the business and beauty of the city. A very successful attempt into widening the reach of a trade publication into a wider consumer base without losing the narrow trade focus. A step in the right direction and a new magazine that must be noted. 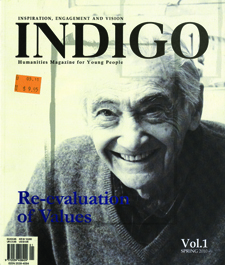 Indigo – Anyone who has the guts to launch a cultural, sociological and political magazine aimed at a young audience deserves to be praised. What seemed like a “mission impossible” has been successfully brought forth on the pages of Indigo, a magazine that will undoubtedly remain at the forefront of niche publications attempting to find an ultra-specialized, fragmented audience within a broad youth audience engulfed in entertainment and celebrity culture. 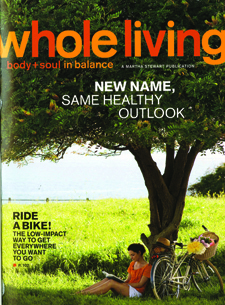 A noted magazine with a journal feel and a young audience who have yet to be introduced to the world of journals. Inked Girls – A spinoff of what is probably the best tattoo magazine in the marketplace, Inked Girls combines the beauty of ink and the women who wear it. 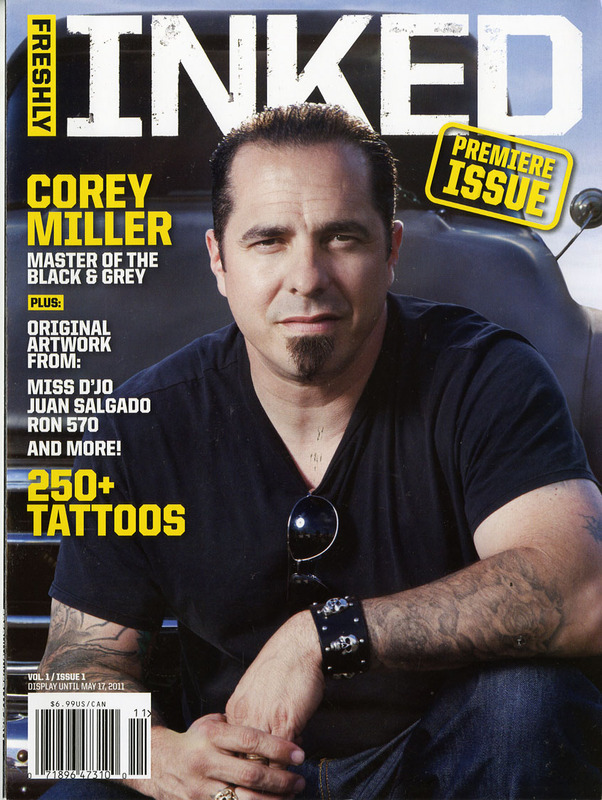 This magazine is a must have for anyone in love with the art of tattoos and beautiful women. 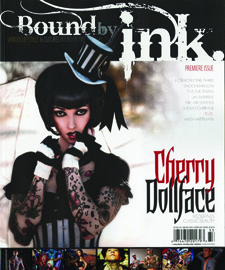 Building upon the success of Inked magazine, this female counter-part provides page after page of beautiful inks and beautiful women making it a must for both men and women. The first will definitely enjoy the women and their ink and the second will enjoy, the women and the ink also! What else did you expect me to write? I always believed that beauty is a two-way street. Knitting Today! – Ten years ago in the aftermath of 9/11, women’s craft and how-to magazines went through an enormous resurgence due to the national cocooning and isolation movement in today’s mainstream culture. Capitalizing on this trend, Knitting Today has found success by bringing back the timeless art of knitting to the forefront of craft publications. 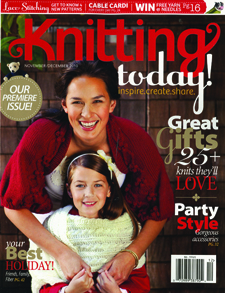 Well-crafted (no pun intended) Knitting Today proudly takes its place on the newsstand’s shelves next to the many craft and hobbies titles that for three years in a row have been in the top three categories of new magazine launches. 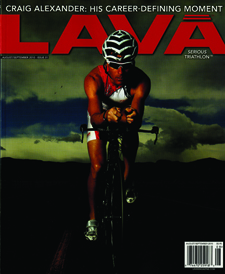 LAVA – Lava is riding the wave of recent popularity in the world of triathlon competitions. 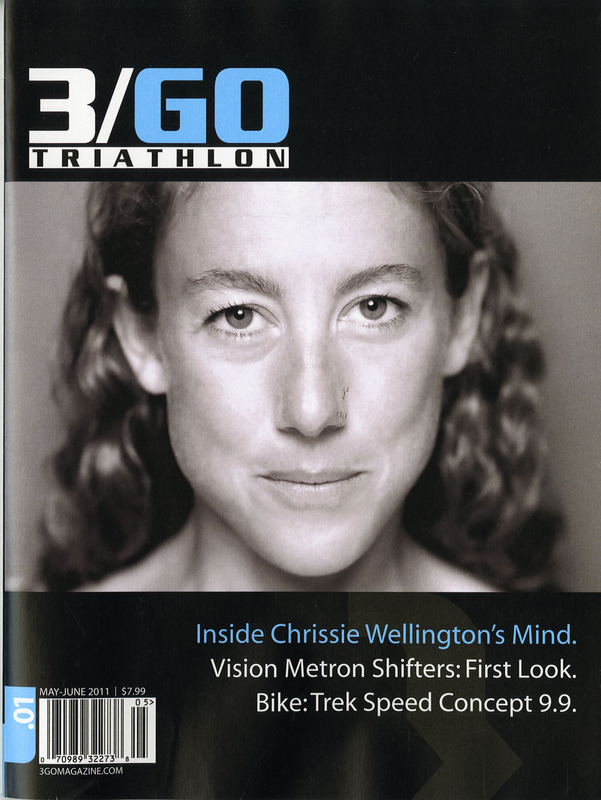 Combining photography, how-to articles and great editorial content, this magazine brings the excitement of triathlons to the masses who enjoy the sport. With an oversized pages, big pictures and a step by step approach to tri-athletics, Lava is a beauty to look at, a joy to read, and a lot of hard work to exercise. There is no need for any volcanic eruptions to get this Lava. Just take a stroll through the pages of Lava and find out why we think Lava deserves to be one of the most noted new titles of 2010. Military Chronicles – From the makers of North And South magazine, Military Chronicles expands far beyond the era of the Civil War. Following the example of its mother publication, Military Chronicles presents a wide range of historical content, connecting a 21st-century audience with valuable information and warfare accounts. 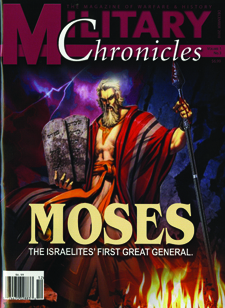 From the days of Mosses leading the Hebrews through Egypt and the dessert, this magazine takes you through one historical battle after the other. If you are a military history buff, this magazine is for you. 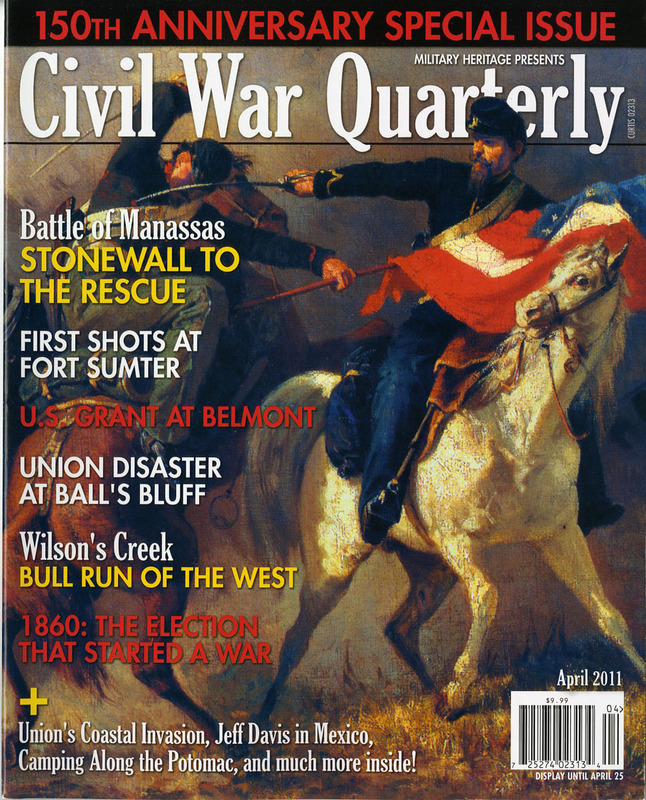 A great companion to the civil war magazine. With the two titles, your military history is complete. 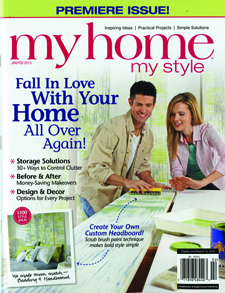 MyHome MyStyle – My Home My Style inspires individual ideas, practical projects and simple solutions to home life and décor. 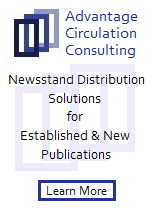 A circulation customer-centric publication that focuses on the need of individual home owner regardless of the marketing and advertising world surrounding the home and home market field. The magazine gives service a true road map so that folks can depend and follow the instructions one page at time without an hidden agendas or sales pitches. A must have guide for anyone interested in shedding some light (no pun intended) on their home or home plans. New You – Adding to an already crowded market that deals with beauty and self-improvement, New You attempts to give the individual a complete makeover, all through plastic surgery. 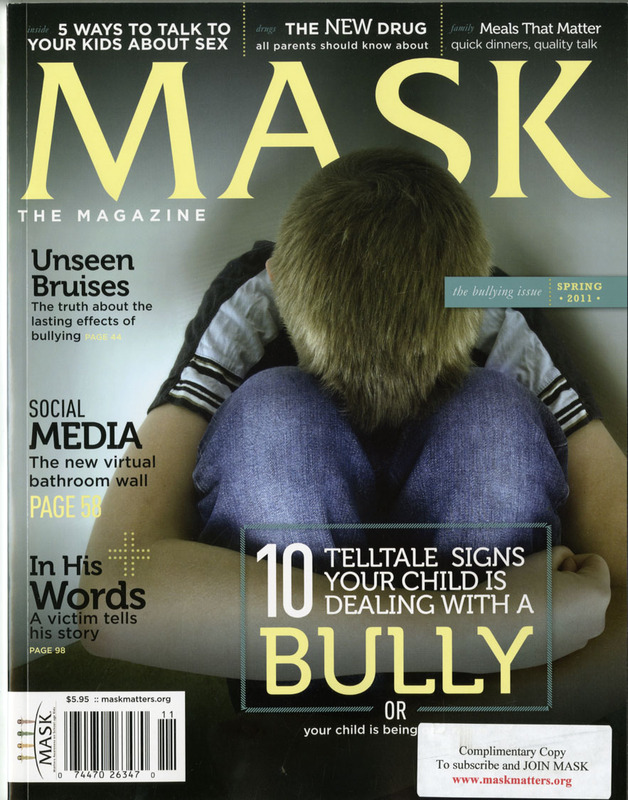 The magazine, through page after page, feels and looks more than the yellow pages of plastic surgery all done in the name of providing the reader with a better option for a better you. New You gives a new meaning to the phrase, beauty is more than skin deep. It this case it is just the skin. 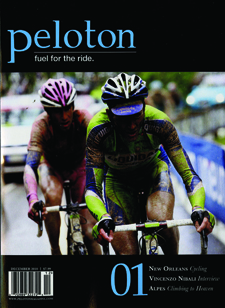 Peloton – A bicycling magazine that differentiates itself from all other cycling publications due to its literary-journal feel, Peloton takes bicycling to a higher level, not just celebrating the sport as a hobby, but as a state of mind. A ground breaker in this crowded field, the combination of photos and essays opens the gates to future imitators who, with no doubts, will “bike” their way into other sports publications using the same approach Peloton is using with bicycling. A must have for those who rides bicycles and enjoy reading and viewing the “hobby” at the same time. Qlix – Qlix focuses on emerging fashion in a very innovative way. Thinking outside the box and produced in a box (well, for that matter an envelope), Qlix provides its readers with fashion spreads all folded inside a nice envelope that makes the reader feel that they are opening one gift after the other as they remove the pages from the envelope. All credit should be given for such a magazine that enters an extremely crowded field, but has the guts to think and present differently than the rest of the fashion crowd. Innovation in print at its best. 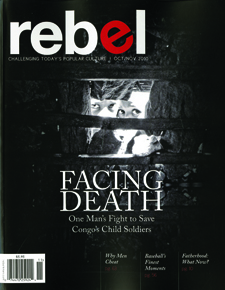 Rebel – A new revolution regarding society, culture and social lift, Rebel holds a unique twist: it focuses and targets men. This magazine presents a new style of publication for men in that it aims at a man’s brains, instead of his drains. Rebel, with its social conscience, tries to create a new genre of magazines that goes beyond the politically correct genres of magazines, and offers its readers a wealth of well-thought, well-written essays combined with great easy to follow design. All in all this Rebel comes well packaged for the new century and the revolutions ahead for years to come. Show-Alt – We’ve said it before and we’ll say it again: tattoos are the ‘in’ thing. This spinoff of Show magazine adds the ink to the ladies – a winning combination. Enjoy the show. The customer, whether there for the ladies or the tattoos, will have a feast for the eyes and nothing but the eyes. Like its sister publications in the Show family, this magazine only “shows.” There is little in term of “says” and “talks.” More like a photo album than a magazine, Show-Alt offers what can be considered a collection of pictures “suitable for framing” on every single page of the magazine. Social Diary Daily – If there is a magazine that needed to be included in the Most Notable Launches, it is Social Diary Daily. It epitomizes what anyone starting a magazine should not do. From its name to its design to its content, Social Diary Daily is the quarterly published poster child of a poor magazine. With very amateurish content, bad pixilated pictures and even worse design skills, Social Diary Daily is a recipe to what folks need to avoid when launching a new magazine. I applaud the founders on their desire and will to create a magazine, but I urge them to take a look at a nearby newsstand and compare their title to the rest of the magazines out there. In one word Social Diary Daily is UNIQUE! THC Expose – A magazine focused on medical marijuana, THC Expose offers this content in a platform of great design, beautiful women and excellent editorial for those who immerse themselves in this culture. A brand extension to an event convention with the same name, this magazine surely brings the convention to life and not vice versa. 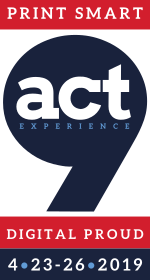 It also gives customers the opportunity to go behind the scenes of such a convention without being “seen” at the convention. With medical marijuana in the news, I doubt that the two magazines in those 30 most notable launches are going to be anything but the “tip of the iceberg” to come for the “standing in line” customers. 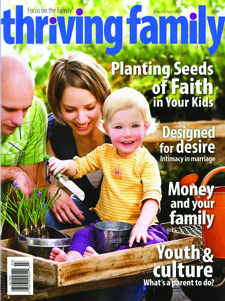 Thriving Family – From the folks at Focus On The Family comes the revamped and mainstream publication aimed at today’s Christian family. This magazine creates a hopeful and optimistic method of improving families by showcasing families currently improving themselves, rather than families who appear to have reached their goals. Trying to reach the crowded stands in the nations’ bookstores, Thriving Family is an attempt to preach beyond the choir and hope to spread the message for a wider audience nationwide. Trunk – For most people, opening a trunk is like opening a treasure chest of secret, invaluable items. That’s exactly what Trunk magazine is for its audience. From great destinations to stunning photography to beautifully written editorial, Trunk captures the world and elegantly offers it to its audience in a well-crafted publication. But, what else would you expect from a magazine that the team behinds it has an excellent history of great photography, greater writing and greatest design? 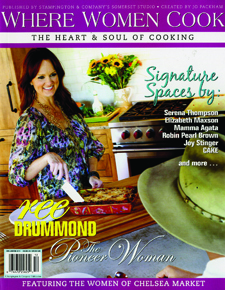 Where Women Cook – The folks at Stampington Press continue to produce one great magazine after the other. This magazine combines food and culture, making the art of cooking a celebrated pastime among their country, recipe-loving audience. With its high cover and subscription prices, Where Women Cook is aimed at the heart, soul and pocket of the common foodie. If anyone ever doubts the power of reaching the “customers who count, rather than counting customers,” Where Women Cook and its sister publications are a must see and learn breed of publications that can put you on the right path for publishing in this day and age. Yum Food & Fun / Yum Food & Fun For Kids – Food, food and more food. If it is not the year of the Tattoos, than it must be the year of the food. 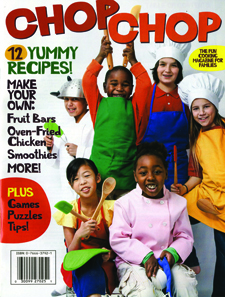 With more than a hundred new titles launched in 2010 alone, Yum Food & Fun and Yum Food & Fun for Kids complete the circle of food magazines by leaving no one outside the family without a publication to learn, enjoy and practice the art of cooking. Adding a touch of fun to food, both titles provide a nice niche and twist to the genre of food magazines and brings them to the notable list. The concept of launching two separate magazine, right from the first year of launch is a notable event by itself, considering all the other “kids” magazines on the marketplace came years after the “mother” titles were born. Talk about a “kid” having a “kid.” Enjoy! 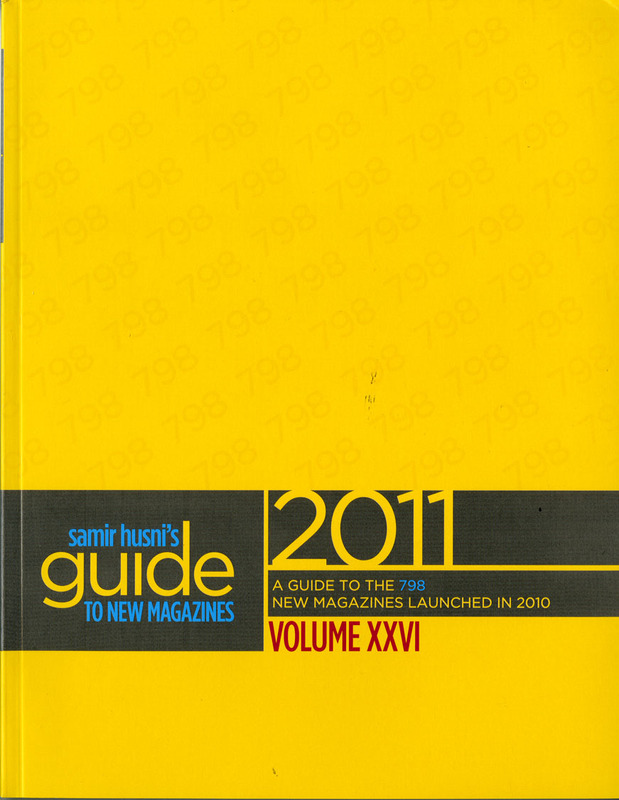 Samir Husni’s Guide to New Magazines is now available for sale by clicking here. 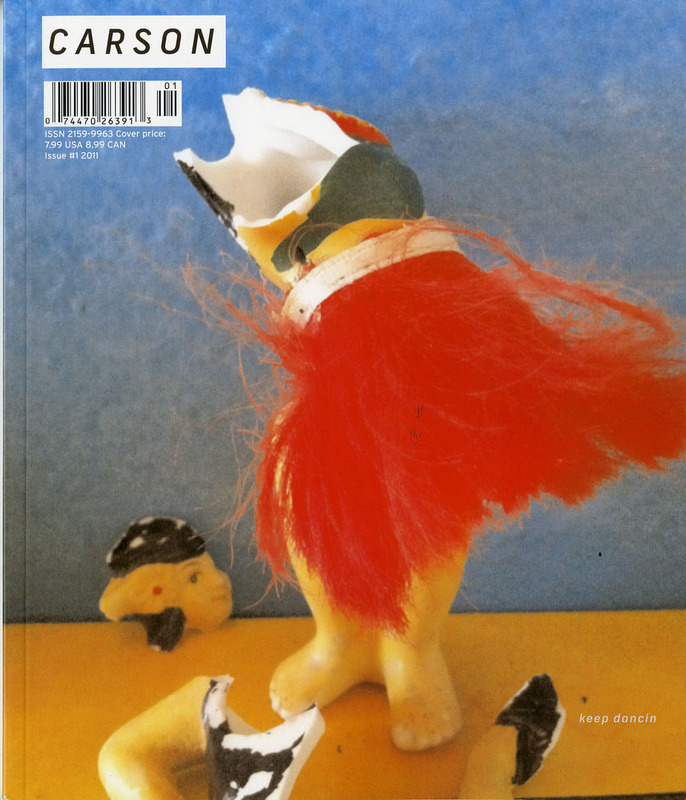 A good magazine cover for all the wrong reasons… or is it the right reasons? Well, I bought the magazine. I was feeling something. I was shopping for magazines. I bought this magazine. I now feel more things. An excellent creative idea to design a cover when you have nothing to put on the cover. Feelings, or the lack of feelings, are both emotions. Emotions trigger sales. 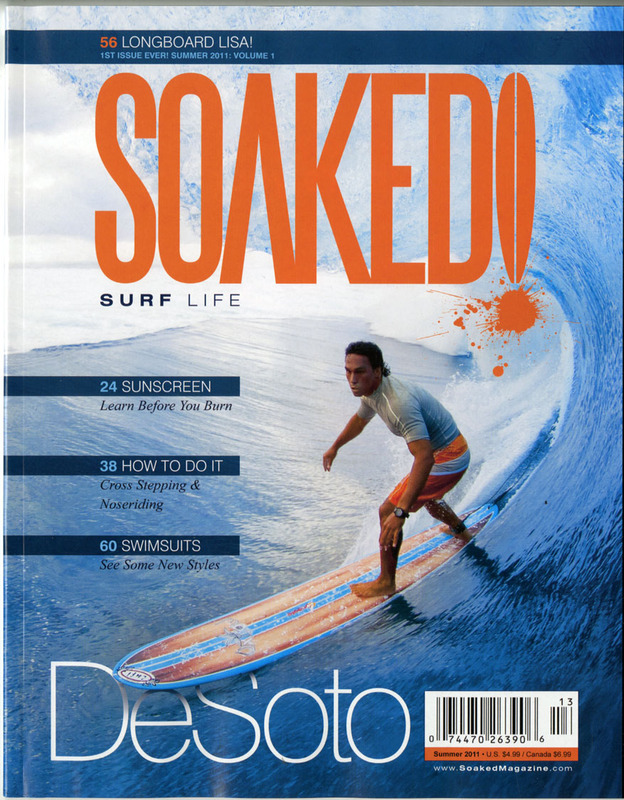 Sales trigger higher newsstand revenues, especially when the cover price is $9.00. 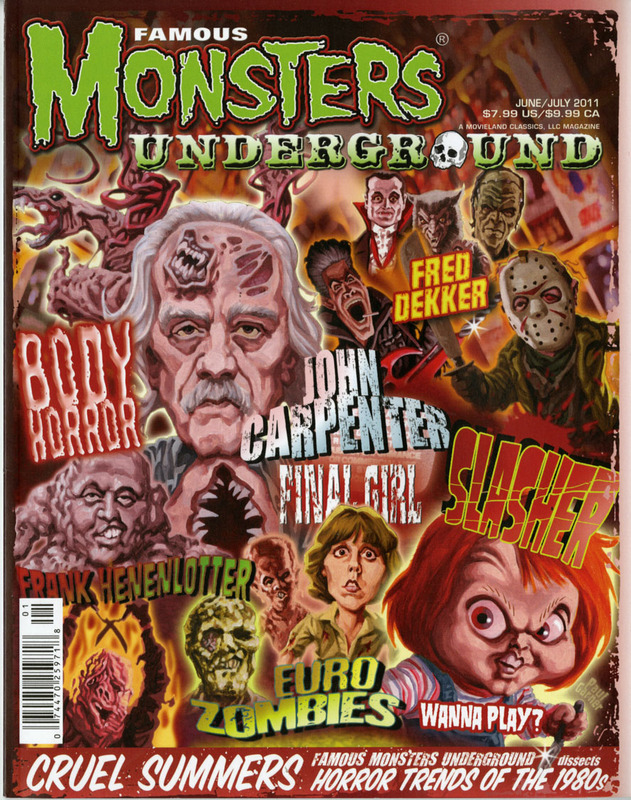 Maybe, after all, Monster Children meant the cover to stir those emotions so folks will buy it. Well, it worked for me. Will it work for you? Let me know. 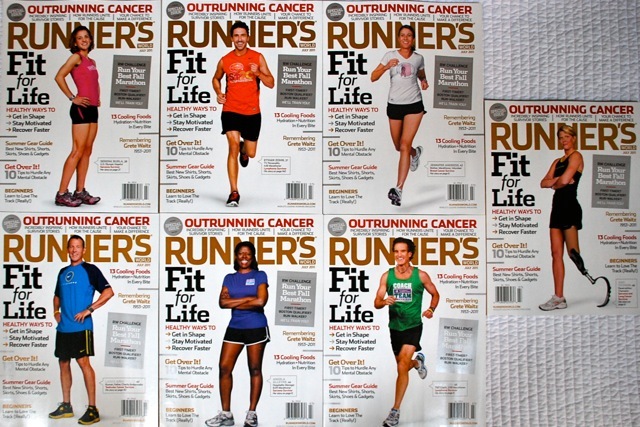 “To dramatize the truth that cancer transcends age, race, and gender” Runner’s World July issue has seven newsstand covers of cancer survivors. I do not believe that seeing those covers on the iPad have the same “in your face” impact as picking up the magazine at the newsstand and holding and displaying all seven covers next to each other (like I did at home after buying all seven copies). The need to know the stories about each cover subject, combined with the powerful and dramatic design of each cover, initiates that curiosity in each and everyone of us to reach out and touch the magazine. Runner’s World and its parent company Rodale Inc. put their money where their mouth is. The magazine offer readers the chance to do more to help fight cancer. Runner’s World compiled “a comprehensive list of cancer charities with running connections and made it easy to support any of them.” You can visit crowdrise.com/runnersworld and contribute to the cause. Runner’s World and Rodale Inc. already did by donating $5,000. You are currently browsing the Mr. Magazine blog archives for June, 2011.